First up, the hottest story of the week for technologists and regular consumers alike. The NSA have been spying on all of us… to put it in layman’s terms. Several different angles regarding our privacy are around companies such as Verizon, Google, Apple and Yahoo. Lawsuits are being issued left and right around this privacy story. Is this spying worth the price of safety from terrorism? Apple’s WWDC 2013 was last week. This was an interesting event as expected, but there’s a lot of hate going on from opposing camps. Sure some things presented may look like an Android device or a Windows Phone device. Is this because of innovation being at a metaphorical stand still? That’s on the mobile standpoint of the Apple ecosystem. 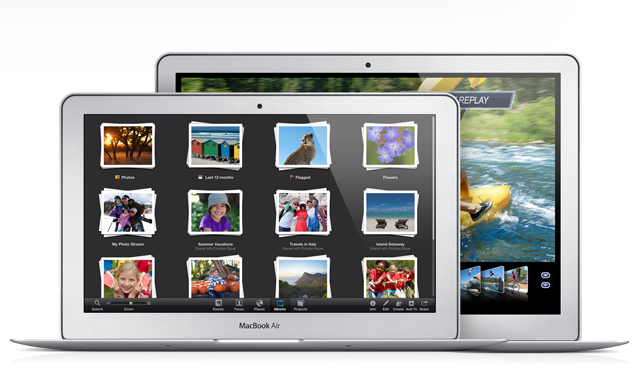 On the OSX and computing front, Apple did well with updates to the MacBook Air and the Mac Pro. Up to 12 hours of battery life is touted on the MacBook Air and more horsepower is available on the Mac Pro. Other notes from the event is the music service offered from iTunes to offer consumers another streaming music service comparable to Spotify and Google Music All-Access. Larry asks of free tools for editing video files. He’s happy with Audacity from an audio editing standpoint, but is curious about video editing options outside of Windows Movie Maker and the titan Final Cut Pro. I advised on a popular open sourced option known as Open Shot. This cross platform video editor is quite nice, but like any video editor, it requires decent PC hardware to effectively run. Google has bought map app Waze. Good news? Or is this just a way for Google to eliminate the competition? Mat and Chris are “wazers” and thoroughly enjoy the service. The app uses crowd sourced data to compile what information and images are displayed on the map as you travel. If a wazer or two sees a traffic jam, they can report it to Waze and let other wazers on the same route know to detour. What mapping apps do you use? We all think that this acquisition will only make Google Maps on mobile even better. Is cable television too expensive? The Time Warner chief thinks so. This is an odd opinion for a commodity that’s wanting to fight against cord cutting. More than likely, the cable packages offered may be the bigger issue. The CEO believes the packages should be changed up to lower pricing for lower income consumers. According to Google, Iran is attacking more Iranians with phishing scams online. There are sanctions in place with the US and Iran, but this is bizarre to see as a statistic between other Iranians. Another social network has decided to use current technology instead of innovating. Facebook now offers the “#” tag for posts. Similar to how Twitter and Google+ uses the tag. Tags are great for finding and searching for content. Mike believes that Facebook has jumped the shark and is currently trying to see what can actually work for it. Basically, throwing anything on the wall and see if it sticks. Larry shared another story illustrating just how good some of us have when it come to technology. Don’t complain about your internet being slow again after you check out this post. MIT and Stanford University has merged their MOOC software platform and open sourced it. Steps and information on building MOOCs onto Amazon Cloud services. Our resident educator, Larry Press, is really urging Google to put out an option for public use and allow more options in furthering education online. That’s going to do it for this week’s show, everyone. Thank you again for your support of our show. Be sure to follow the YATS Crew in all of our social connections and check out the community on Google+. Also, subscribe and comment on our show via iTunes, Stitcher and RSS. Be sure to tell others about our show and we’ll see ya next week on YATS!